The cool places I’ve ventured to. It is now the second leg of our journey into the Mayan temples, only this time, since it’s no longer 5:00 am, everyone actually seems excited. This is nice considering we are covered in rain and mud and filth and sweat, coating Lilliana’s van in it as well. For about twenty minutes, she drives us to a village in Copa, passing lots of other little Mexican villages on the way. In Copa, it’s clear that we won’t be running into any old Mexican medicine men, since the place is overrun by tourist shops and teenagers who barely speak English getting paid to drive tourists to the site via bike for about three dollars. Obviously, we walk (it’s about a mile on flat ground through the trees) although my dad gets on a bike with a beautiful Pollack named Anastasia in an attempt to woo her. 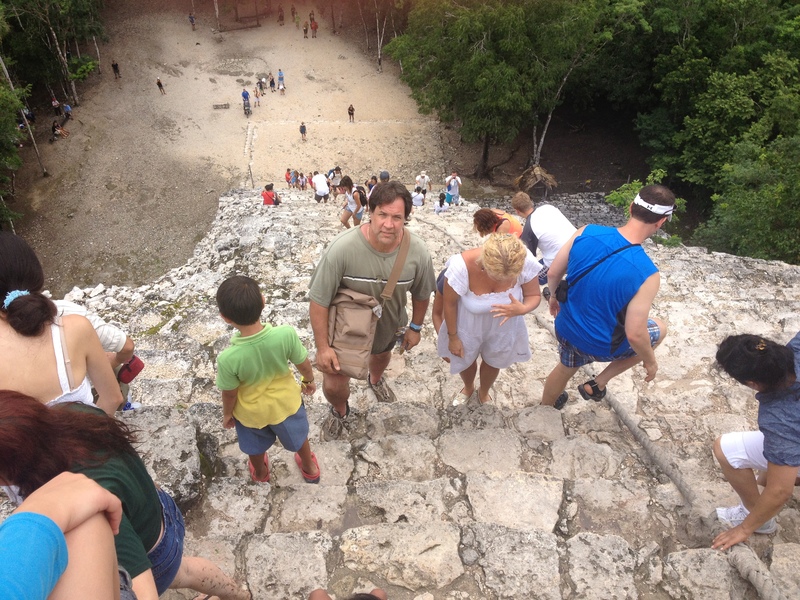 Reaching the Mayan temple, I’m glad to see that even though GETTING here is touristed-out, the temple itself is not. It features 120 tiny but steep steps, 120 of which I have to crawl on my hands and knees to get up. Thankfully, by this point the rain has stopped, because otherwise climbing these little stone steps would be even harder and I would be stopping a lot more often than every 20 or so to catch my breath (and then look down and lose it again). Besides seeing the ground looming under me, like I’m scaling a damn mountain, I can see my dad huffing and puffing his way up with Anastasia’s bag on his shoulders. When I look down for the final time at the very top, however, it’s clear that this was definitely worth the short trip to the summit. I can easily see the top of every tree in this little jungle, and I kind of feel like a Wild Thornberry. We’re Not in Jersey Anymore. I am standing in a soaking wet t-shirt over my green bikini, my legs actually shaking under me from the rain pellets that fall from the sky. Lilliana, our tour guide, is shouting instructions on how to zipline in broken English from only a few feet away, yet the rain easily muffles her otherwise broad Spanish voice. When I’m standing on a wooden platform and Pedro yells VAS! and pushes me off the cliff and into the jungle, I can only hope that I set up my own harness correctly, although that wasn’t too easy to maneuver amidst the hurricane brewing over my head. This is all because when you actually leave your Cancun resort, you find yourself a hell of a lot more than red-skinned tourists cramming onto booze cruises. 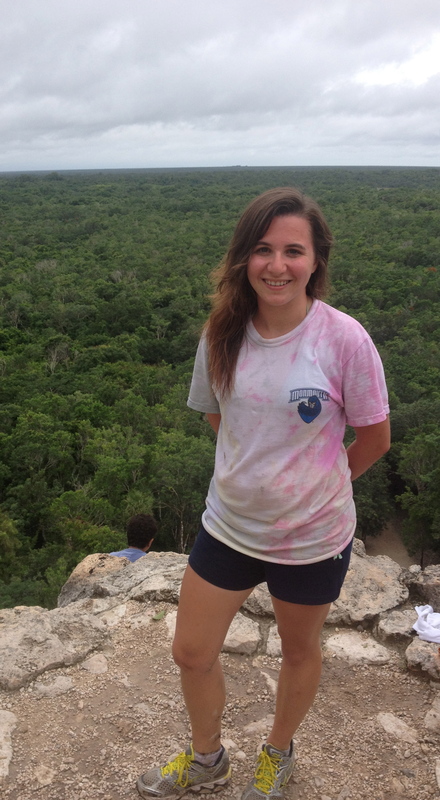 The tour I took, which held a group of about ten people of all ages, brought us to the ancient Mayan temples about two hours from Cancun. Instead of sandy beaches and buffet style lunches we traveled down the littlest “highways” you have ever seen to jungle monotony only broken up by man-made shacks on the side of the road surrounded by skinny dogs and holey shirts on the line. On the tour, after kayaking to a separate part of the jungle, a man named Jose came to bless us all for our stay in his village. Being the village medicine man, I think that this was the extent of his duties nowadays, since the area’s main income comes from tourism. Lilliana then led us to a little cavern opening in the ground as big as a folding chair next to a shower. She said that everyone had to wash off before climbing into the cavern in order to keep the sinkhole underneath clean. I kept wondering where this sinkhole was since the cavern looked like just that– a hole. Lilliana said we should probably keep our heads down. 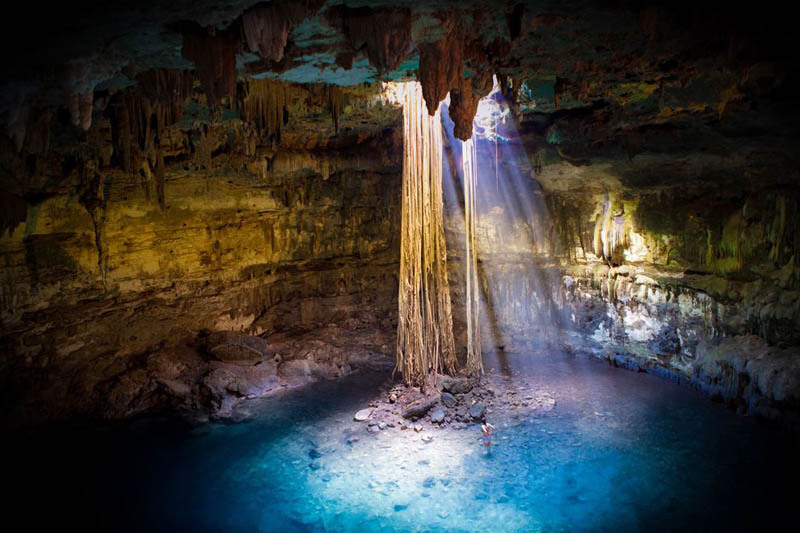 As soon as we got through the initial hole, however, we found ourselves in an alcove about as big as a large living room with crystal blue water running through which created a little circle. You could see the bottom, however tens of feet down. Back outside of the sinkhole, which Mexico has tons of since, like New Orleans, it has little bedrock, Lilliana led us to a zipline course, which was when the rain started up. In her drenched t-shirt and sandals, the little Mexican woman told us there was no reason to stop unless it started to lightning “really bad” yet even then we would be screwed because the zipline was the only way to continue through the jungle. However, as I’m soaring over the jungle and over small swamps and flying birds and I’m trying to shield my eyes from the piercing rain, I’m actually feeling pretty glad Pedro pushed me off the cliff. I can hear my dad screaming bloody murder behind me because he is pushing the 235 weight limit, but hey, this sure beats snorkeling. It is 7:00 pm and I am wasted with my mother. Sound pathetic? Maybe it would be if I was anywhere else other than Pat O’ Brien’s, the famous origin of the Hurricane drink, located on St. Louis Street, perpendicular only by a few to Bourbon. From here, it’s easy to stumble back home to Dauphine. It’s weird to think that only a few hours ago I was hanging out in a completely different offspring of NOLA, the Garden District. 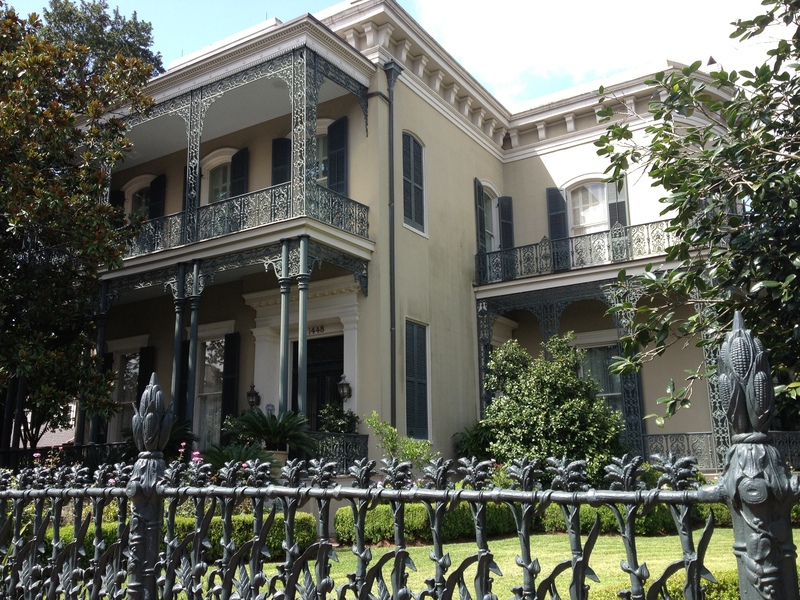 Here is where the Americans settled way back when the Creoles shunned them and built their big Southern mansions which line the streets, shielded only slightly by iron fences. Quiet, romantic, and dignified, these old plantation homes are often raised from the ground since New Orleans holds no bedrock and simply sits on a puddle of mud. 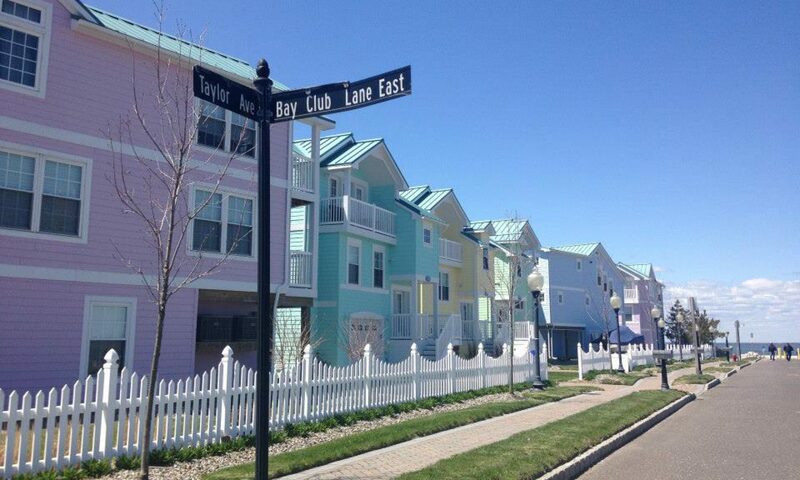 Most of them are conservative colors today of beige and white, but once featured bright tropic colors. Their vastness often remains hidden by piles of trees and shrubbery. 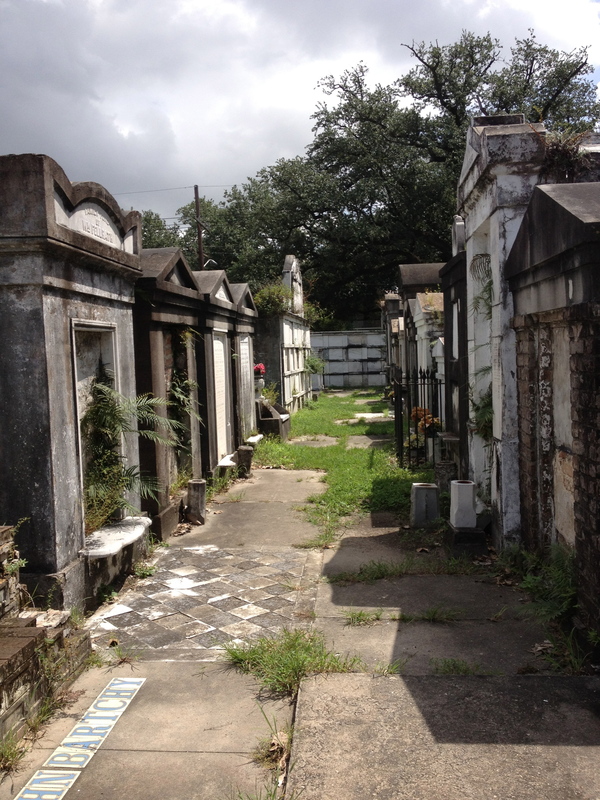 This above ground cemetery, one of the oldest in the city, is entirely composed of above ground tombs since the frequent rain and lack of solid ground continued to bring bodies to service until tombs enacted. After a family purchased a tomb, one body’s casket would be placed until the next member died, when the bones would be pushed to the bottom and the casket would be used again. Now, the tombs sit like buildings in a small (abandoned) city, with little streets for onlookers to walk past the mass gravesides. Most of the graves have a fair amount of wear and tear, as the first bodies placed date back to the 1800’s. Tiles are cracked, names are missing, some entire tombs have shifted in the ground. I once read this in some book or magazine. Whoever wrote this, however, was not speaking about New Orleans, because much looking is not necessary. It doesn’t matter where you are. I don’t care if you’re strolling the Mississippi, out on Bourbon on a Friday night (or any night, really), or outside the St. Louis Cathedral in 100 degree weather. It will sing to your ears, pulling you into this direction and that, leaving you yearning for this thing called jazz, something we don’t really hear much of within our bustling in the Northeast. The music, which sifts about, can obviously be mostly found within the French Quarter. I really didn’t know much about New Orleans before my visit, but I (most ignorantly) thought of long-stemmed roses and elegant architecture. AHA. No. Don’t get me wrong, it is no less wonderful. But wandering the streets are a little more fitted to the Knight Bus in Harry Potter, which flits noisily throughout tiny streets. The brick, age-worn cafes, shops, bars, psychic lairs, and even home are cradled upon one another like old friends. Within this little homey square you will find dive bars next to art shops, voodoo dolls next to coffeeshops. 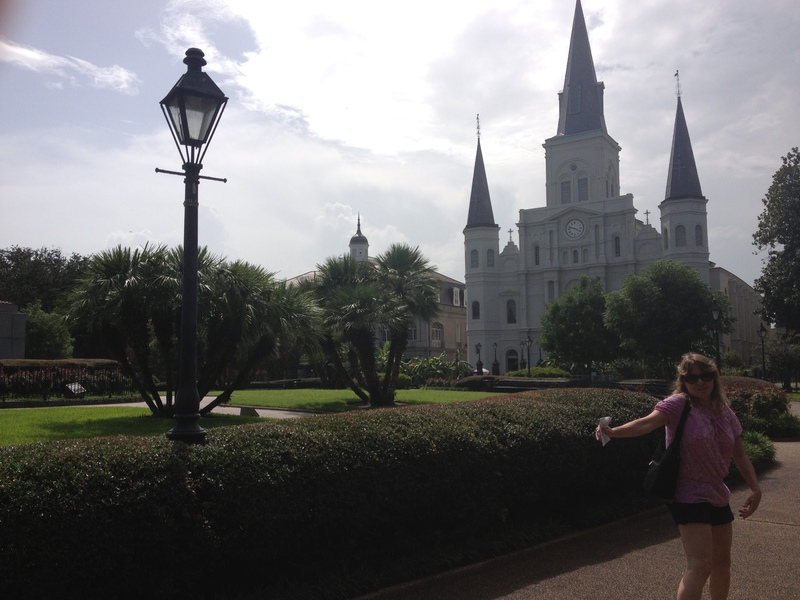 Jackson Square is a pretty little garden that overlooks St. Louis Cathedral, the oldest active cathedral in the United States and looks like it is straight out of Disneyland. It marks the spot where the Quarter sprang and behind it lies a usually locked garden that onlookers can peer through, where a statue of Jesus sits with a missing thumb, the only part of Him damaged by Katrina. Cruising along the streets, which like many Southern places, gets hit by a torrential downpour in the afternoon (wish I knew that the first day), it’s easy to find hidden gems hiding in nooks of NOLA. After visiting an especially lame Mardi Gras museum on the upstairs of Antoine’s, a swanky restaurant on St. Louis Street, my mother and I found ourselves on the abandoned upper decks, overlooking Bourbon as the sun went down and people began (okay, already were) flooding the streets. And then, the animal becomes unleashed. In the summer, I find it hard to drag myself out of my cozy room, get all dressed up, then drive to some lame bar in the middle of nowhere to sit on a barstool and get drunk in the dark for six bucks a drink. Nobody in New Orleans has this problem. Before the sun is even down, people are pouring out of wherever the hell they were all day and spilling onto Bourbon. The homey bars, like the Cat’s Meow, the Famous Door, and the Funky Pirate, all have their own live music seemingly fighting for air, the music pouring out of the absent doors and walls and into the party that already exists on the street. Grandparents, 21ers, kids, hookers, moms, businessmen, artists- no one is left without a drink. At least at Bourbon, and probably all of NOLA, maybe you don’t have to look for music because it already found you.